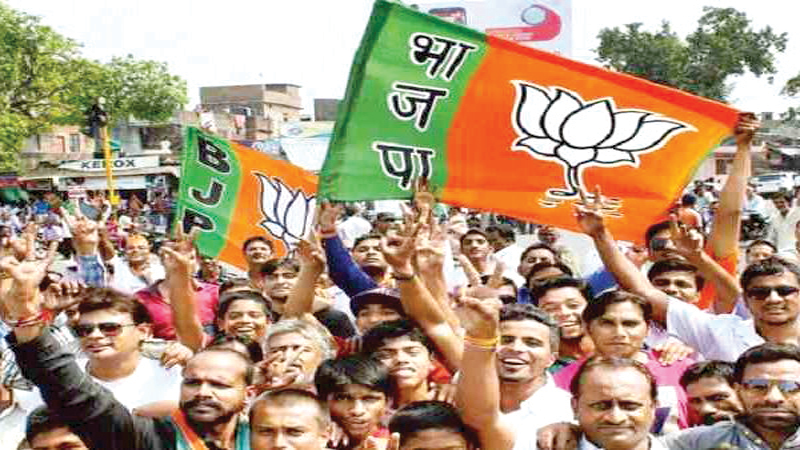 The BJP has won five of the seven mayoral seats and 34 chairman and president posts in the Uttarakhand civic polls, while Independents sprang a surprise by grabbing 23 posts. The Congress won 25 of the chairman and president posts in the state’s civic bodies and the BSP won one post, according to information released by the state election commission in Dehradun on 21 November, 2018. Results for one post is yet to be declared, it said. The BJP won five of the seven mayoral seats, including Dehradun, Rishikesh, Kashipur, Rudrapur and Haldwani, while the Congress won Haridwar and Kotdwar, the commission said. Voting was held for 84 urban local bodies, including seven municipal corporations, 39 municipal councils and 38 Nagar panchayats in Uttarakhand on 18 November. Counting for the polls began on 20 November morning and went on till late in the afternoon on 21 November. Chief Minister Shri Trivendra Singh Rawat termed the result “historic” and said the people had reposed their faith in Bharatiya Janata party. Shri Rawat expressed his satisfaction at the results and termed them “encouraging” and “historic”, but said the party will review the loss of some seats. The chief minister said overall the results were an indication that the people had once again reposed confidence in the BJP.